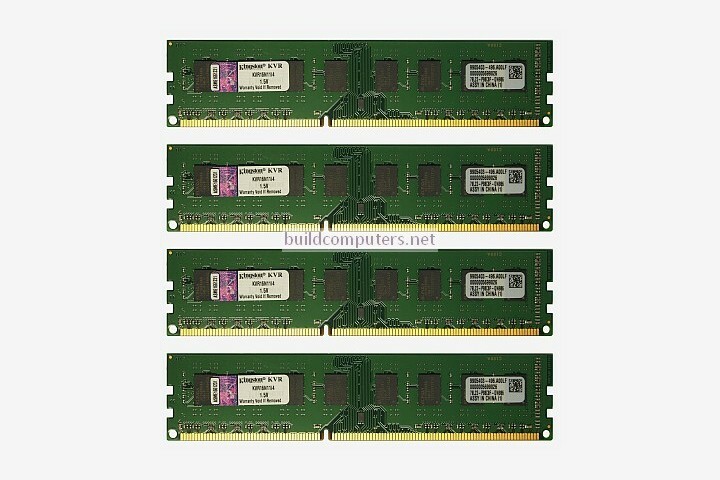 How much RAM do I need for a computer? Find out the answer to this important question as we reveal how much memory is enough for Windows, gaming, video editing and common tasks. "You can never have too much RAM" - This popular statement has misled countless of computer buyers into making bad purchase decisions so let us clear the air once and for all. What it really means is that having excessive RAM won't harm your computer's performance... but it's certainly going to hurt your wallet since you won't gain any benefits with the extra RAM. If you haven't done so, we recommend that you first check out our article on What is the max RAM amount supported by your computer? It'll be an awful shame to shell out good money for 32 GB of performance RAM, only to find out later that your computer is only able to support 8 GB. How much RAM is enough? While the answer to this question will depend your computer usage, all modern computers should have at least 2 GB of RAM. There's a reason for this 2 GB minimum: Popular operating systems such as Windows 8 (64 bit), Windows 7 (64 bit) and OS X Mountain Lion require at least 2 GB of RAM. Meeting their basic RAM requirements is essential for a responsive and stable computer. However at this level of RAM, your computer is going to feel sluggish once you begin to multitask more (e.g. having 50 browser windows opened while watching high-definition videos). 4 GB of RAM is quite standard for most modern computers, and with good reason: At this amount of RAM, your computer will able to handle a wide range of tasks (provided that your other system specifications are adequate). If your computer is going to be used by a group of people (e.g. family computer, public computer) or you're still unsure of how much RAM to get, then you should settle for at least 4 GB (or 8 GB if you want to play it safe). Now we're crossing over to big RAM territory. Applications that are graphics-intensive tend to be RAM-hungry too... so this is how much RAM most heavy gamers and graphics designers should be gunning for. Some mainstream consumers have chosen to go for 8 GB of RAM since RAM prices have dipped in recent years plus they want some extra memory to "future-proof" their computers. Since servers vary greatly in type and purpose (web servers, cloud servers, game servers, database servers just to name a few), there's just no way to generalize their RAM requirements. With that being said, it's common for high volume servers to have 64 GB or more RAM.